Cable Tie Express’s TTW Thin Wall Heat Shrink Tubing is manufactured of Polyolefin material and is used for both commercial and military applications. It provides a versatile and flexible heat shrink tubing solution for both commercial and military applications for electrical insulation and protection of in-line components, disconnect terminals and splices with its high strength and excellent resistance. Thin Wall Heat Shrink Tubing bundles wires for very flexible, light duty harnesses. It also identifies or color-codes wires, cables, terminals and components. Thin Wall Heat Shrink Tubing has a 2:1 shrink ratio and is readily available in 6’’ and 48’’ sticks, mini spools and standard spools. 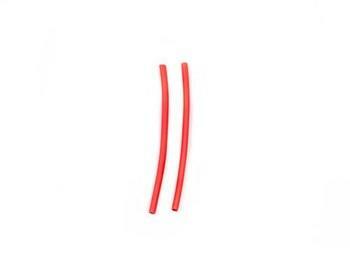 Cut to length sizes of Thin Wall Heat Shrink Tubing are also available to meet customer specifications.